TSB is a retail and commercial bank founded in September 2013, following the divestment of various Lloyds TSB plc branches from Lloyds Banking Group. It has operated as a subsidiary of the Spanish banking group, Sabadell, since 2015. TSB is Sabadell’s largest subsidiary. TSB is not listed on BankTrack (a research network that tracks the activities of private financial institutions). The parent company, Banco Sabadell, has no tracked involvement in financing controversial activities such as gas pipelines or tar sands extraction. ‘Choose’, the fair price comparison website list TSB amongst the more ethical high street banks in late 2017. TSB do not have an investment banking or corporate finance arm. The majority of their money is made via loans and mortgages to people and local businesses. Banco Sabadell report annually on their operational emissions with the Carbon Disclosure Project. TSB recently partnered with the London Metropolitan Police to fund an anti-fraud campaign. 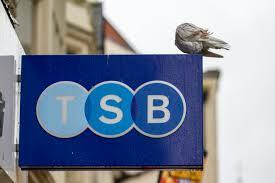 TSB is among the most modern of UK banks with a dedicated online and app-based banking service. The current accounts available are here. The Student Bank account has 5% interest on balances up to £500 and an interest/fee-free overdraft starting at £500, increasing to £1,500 (subject to T&Cs).